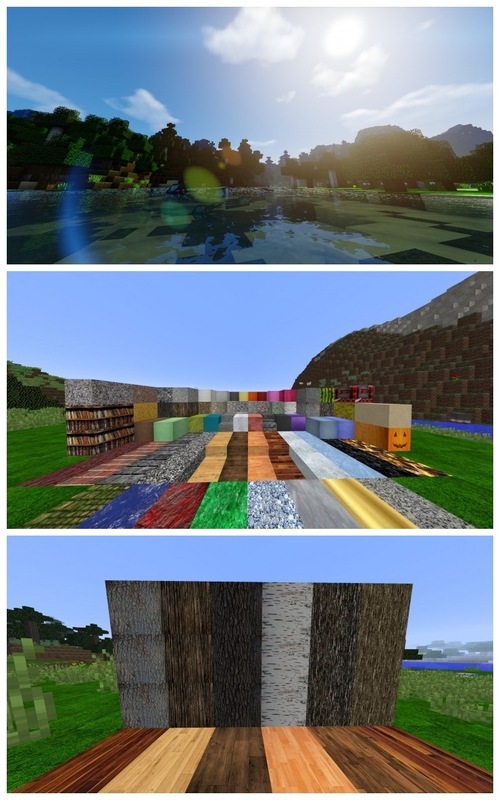 Realism Fantasia Resource Pack 1.11.2/1.10.2 for Minecraft is the rising and widespread trend in mod making nowadays. Their advantage is the high resolution, high details and high degree of realism. Let’s take a look at a new realism mod – Fantasia Resource Pack. The pack does not feature a dominant color theme. Instead, it employs extensive and contrasts color blocks to impress players. The texture of grass, rock and sand are recreated at high resolution, improving realism and details for the landscape. Players can see the attentiveness to the smallest detail in each wood block or tree trunk, as they are as real as you can expect. Plywood has a clear cutting edge, quickly remind players of the real things at high-class villa or apartments. The mod aims to a realistic and detailed look. On the other hand, the mod still has some drawbacks, like the natural blocks, are not go well together with human-made blocks (even ore blocks), which cause some imperfection in term of colors. But that weakness is nothing when compare with the huge advantage the mod offers. Note: This pack requires Optifine HD to run. See more fantastic Resource Pack updated daily here.